This journey began in 2004 when I saw there was no reasonably priced 15x8" pcd 4x100 wheel with the correct offset to fit our little Miata track car with Hoosiers. So with the help of some experienced wheel engineers, I designed my own wheel and started 949Racing to offer them to you. Every detail was sweated to create the best possible strength to weight ratio with the 6UL. Over a decade later and we have changed this little corner of the wheel industry with our innovations and unique fitments. The 15x8 +36 4x100 fitment is now an industry standard. Making 15" wheels lighter just for the 4x100 bolt pattern is now also industry standard. While the 6UL looks similar to some other wheels but not exactly like anything, it's because it is different. 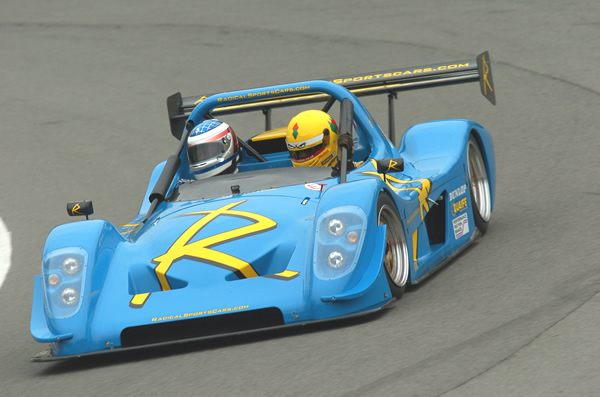 The design is an evolution of a 15x8 centerlock race wheel developed for the Radical SR8. Unlike so many other import wheels, the 6UL is not a copy of anything. This is a biggie. The original 6UL was designed expressly for the 4x100 pattern. You'll notice the center hub area is not large enough diameter to add the larger 114.3mm pattern. This is because no compromise in the 4x100 optimization was made to accommodate the larger pattern. A 4x114.3 also has a minimum allowable load capacity about 20% higher than a 4x100. This means the 6UL would have needed to be 15.36 lbs with the same relative strength. No way. A 5x114.3 about 30% more. You get the idea. If anything, the 6UL is overbuilt for a 4x100, that's because it's a race wheel which will be pounded on a lot harder than any street wheel. You may also notice the lip is not a wide as some other import wheels, again for a reason. The best possible wheel structure has the spokes running straight from the mounting pad to the bell (outer rim). By bending the spokes back to create an artificially wide lip you add more material than is needed and weaken the basic structure. Straight spokes, smaller lip = strong and light. A wide lip looks neat so we will always try to engineer every 6UL to have a lip if possible. On some platforms, brake clearance or geometry requirements do not allow for a wide lip. 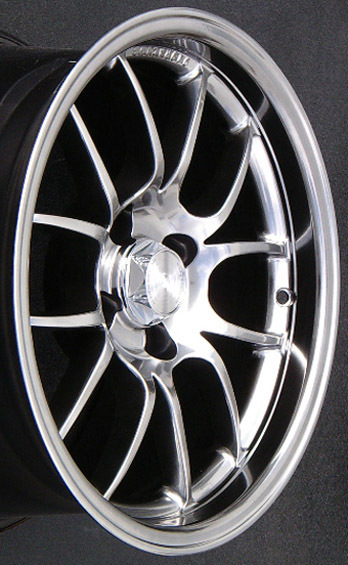 Our 19" Ford GT350 Mustang wheel is an example. 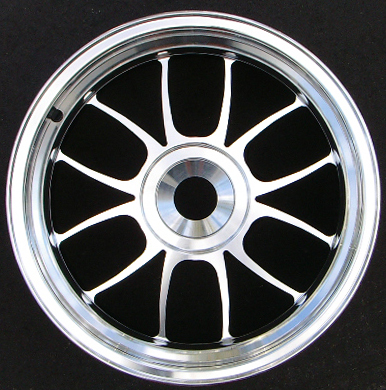 The original 15x8 6UL wheel was designed to have radial clearance for 11.5" rotors (outer rim). Axial clearance (spokes) depends on brake caliper offset. Notice how the distance between the spoke where they meet the rim is even where many similar design have the spoke in close pairs with uneven gaps between them. By making these gaps between the spokes symmetrical the rim between them was better supported. Thus we were able to reduce the drop center making the outer rim thinner. This not only looks nice but serves the purpose of increasing room for oversize rotors. Now we have 19" fitments specifically engineered to clear huge 6 piston Brembos on 15.5" rotors. This makes it possible to perform a complete nitrogen purge. You may notice many high end tires stores now offer nitrogen. Nitrogen doesn't fluctuate pressure as much as your tires get hot and they hold air much longer. With a single valve, you still have some atmosphere in there when inflating with nitrogen. Two valves= 100% nitrogen. We know that a lot of drivers want a wheel that allows the tire to be flush with the fender. The problem with that is that it allows the fender to shred your expensive tires if you lower the car and drive it hard enough to fully compress the suspension. Lower offset than OEM wheels usually require smaller tires to clear the bodywork resulting in less rubber on the road. Any racer will tell you more rubber means more grip. So many 6UL's are higher offset than other wheels on the market. This is to allow the fattest tires to squeeze under the fender with full suspension travel. Everthing about the 15" 6UL is different, for a reason.